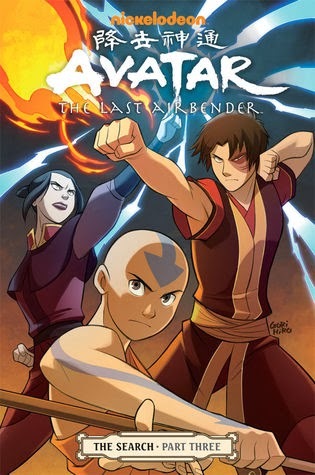 Avatar Aang travels to the spirit world to parley with an ancient power, bringing Fire Lord Zuko ever closer to discovering the truth about his mother’s fate—and his own past. Yet Zuko’s sister Azula is becoming increasingly dangerous, threatening to ruin everything that Zuko, Aang, Katara, and Sokka have struggled to achieve on their search! The final installment in The Search trilogy delivered all the intensity and surprises that a quality episode of Avatar: The Last Airbender would have done. There were plenty of twists along the way, combined with the usual light-hearted humor and well-placed wisdom. The ending is satisfying while leaving itself open to further exploration...and more books. The plot itself started out intense for the third and final part of The Search and that intensity kept building till the very end. The stakes were high and that new spirit we meet up with certainly added some chills and thrills - not to mention the connection this particular spirit has with a super creepy and evil spirit we met in the original series. O.O I love how hard author Gene Luen Yang works to connect these graphic novel plotlines to the animated series, it makes reading these a much richer and honestly exciting experience. Once again the characters all have their fair share of growth and development, with the emphasis being on Zuko - and Azula to some extent. Since they are both wildly compelling characters in their own right, the added emphasis on their story arc was quite welcome. But fear not: the rest of our beloved characters are anything but left out. As always, Aang is adorable, wise and fair. I love the depth of his thoughts and beliefs ♥ Seeing him and Katara be all couple-y is beyond adorable too! And, true to form, Sokka adds some humor and laughs to most every scene he's in. I won't go on any further since this is the final book in the trilogy but I will say this: fans of the Avatar: The Last Airbender series - if you're still wondering whatever happened to Zuko's mom, then you need The Search Trilogy in your life! These are quick, engaging and satisfying reads that will fill in the blanks...and leave you with a few extra questions once you're done. You've totally sold me on these! I'm definitely curious and I love how consistently good each part has been. And because they are quick, I could absolutely fit them into my schedule sometime! I'm looking forward to it - thanks for the reviews! Oh yay! Thinking back on it now, I think out of all these AtLA graphic novels my favorites were The Promise trilogy, but these were really fun too, not to mention compulsively readable! I hope you enjoy these too Aylee - I'll be looking out for your thoughts on them! !